Every time I feel moved to pass comment on Donald Trump’s presidential candidacy I ask myself if it’s fair for me to get involved in another country’s election. My answer is that it is absolutely for the people of the USA to choose their president. However, while POTUS is widely regarded as, and often the self-proclaimed, ‘leader of the free world’ then it is also entirely justified for the rest of us in that free world (and indeed beyond it too) to express an opinion. So, with Trump’s nomination as Republican candidate confirmed, I will now venture that opinion. Let’s leave aside policy. Firstly, I’ve not really heard much of his policy with the exception of the much trumpeted (pun most definitely intended) ideas of the Mexican wall or the banning of Muslims from the US. Secondly, as patently ridiculous as these ideas are, I don’t think policy is the most worrying thing about ‘The Donald’. 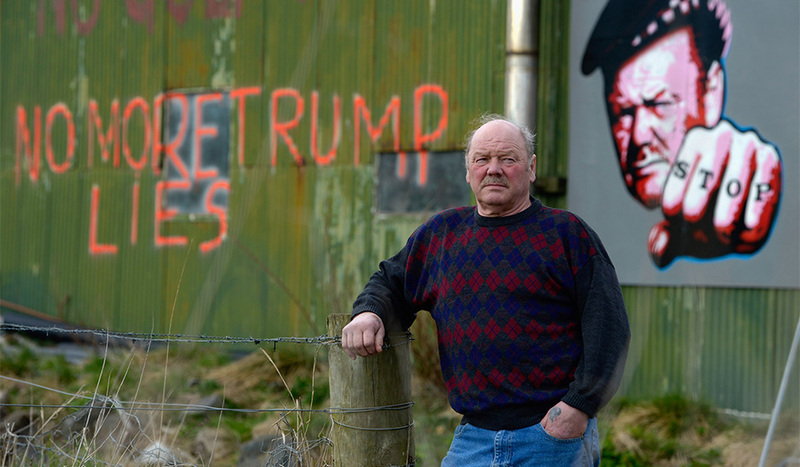 Donald Trump, as we have seen first hand here in the north east of Scotland, lacks a number of key human qualities that are essential in a leader, whether of a nation, a free world or a pack. Trump’s Twitter account reads like that of a troll hiding behind online anonymity to hurl offensive one-liners at anyone or anything he disagrees with. Except of course, he’s not anonymous. He’s Donald Trump and he’s hoping to be the next President of the US.2 If he achieves that aim, he will be negotiating at the very highest level, dealing with both allies and enemies. Upsetting the leaders of nations around the world is far more dangerous than offending a business rival or journalist. This playground approach has been so prevalent in his business dealings and throughout this campaign, it is difficult to imagine him behaving any differently as president. As much as we have a tendency to believe that anyone involved in politics is prone to the odd porky, the majority are in fact basically honest. They may be selective in the facts they choose to discuss in the public domain and will certainly spin the evidence to paint the picture they want to, but very few are the barefaced liars often depicted. In the UK, we have had some who fall into that category. The recent EU referendum proved that and, going further back, Jonathan Aitken3 and Jeffrey Archer4 both spent time in prison, such was the extent of their austerity of veracity. Trump pushes these guys close when it comes to telling outright lies. He does it by making bold pronouncements and hoping that, because he’s Donald Trump, nobody will look too closely. Sadly, it seems his aspirations often come to fruition on that front. Last year, he even managed to hand the moral high ground to Boris Johnson when he claimed that some areas of London, and Paris, are no-go areas for the police becasue of Islamist extremism.5 Making such bogus claims about foreign nations – key allies of the United States, in fact – isn’t going to help his diplomacy skills either. Of course, American voters are unlikely to care about this sort of one off claim about the Metropolitan Police but Trump has consistently lied throughout his campaign. The Huffington Post found that he lied, or at least talked rubbish, no fewer than 71 times over the course of an hour long televised event in March of this year.6 Much of this was trivial, and could well be dismissed as political spin, but this suggests a startling level of dishonesty. It is quite right that we should display a healthy level of scepticism about the claims of any politician but can anybody be a truly effective global statesman if everything they say – almost literally in Trump’s case – is likely to have little foundation? 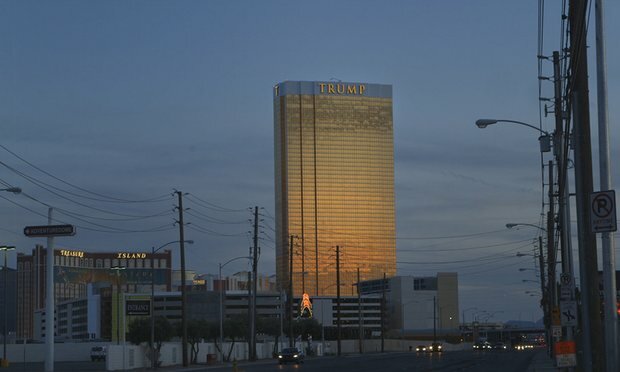 Most of what Donald Trump builds or buys, he names after himself – 8 golf courses for a start, 9 if you include the course in Dubai that seems to have dropped his moniker since he suggested that mosques should be monitored and Muslims should be denied entry to the US.7 Everything he does, he proclaims to be the best, whether that’s walls, golf courses or the “number one selling tie anywhere in the world” which is – somewhat contradicting Trump’s stated opposition to US companies manufacturing outside the US – made in China.8 Any successful politician must have absolute confidence in both their policies and their ability to deliver. However, they must also be able to acknowledge that they do not have all the answers and certainly no magic bullet. Trump seems to struggle with this. In his acceptance speech, he said that “the crime and violence that today afflicts our nation will soon come to an end”.9 So, when Trump takes over as President in January next year, it will signal the beginning of the end for violence in America. That seems to be taking confidence in your own ability to another level. Whether he indeed has absolute faith that his endeavours will always be the best, or just an unbending belief that people are impressed by such claims, almost every statement he makes suggests a level of vanity that is simply not compatible with good leadership. In his efforts to create the Greatest Golf Course in the World at Menie, Trump set about trying to convince people that it was a matter of national importance, that the economic benefits would be felt across the North East and beyond. He had the nerve to suggest that nearby properties should be compulsorily purchased by the Aberdeenshire Council in order to facilitate his (very definitely his) money making (or losing, as would seem to be the case at the moment 10). Such mechanisms exist in order to enable authorities to develop essential infrastructure. It seems inconceivable that councillors would have ceded to his demands had it come to it but so extraordinary were some of the dealings over the development, it left several families – including Michael Forbes and his mother, Molly – fearing for their homes. Throughout this, Donald Trump did everything he could to make it clear to the families that he isn’t a very neighbourly sort of chap.11 To compound this absolute arrogance, Trump subsequently attempted to block an important offshore windfarm development on the basis that it could be seen from his golf course. 12 He reacted with his usual grace to his defeat in the Supreme Court, claiming that it demonstrates a “foolish, small-minded and parochial mentality”. He has no shame, no conscience, no humility. I’m not suggesting that Donald Trump’s evident flaws in these areas would lead to him being a poor president. I am saying that he simply cannot be a president, a leader, a statesman without these things. I have barely touched on the way he bullies anyone who stands in his way13 or the question marks over his stated wealth and tax arrangements.14 I have no idea how likely Trump is to win the presidential election in November but I am absolutely convinced that the world will be a far more dangerous place if he becomes President in January. It surely cannot happen……..but, unlike Trump, I’ve been wrong before.